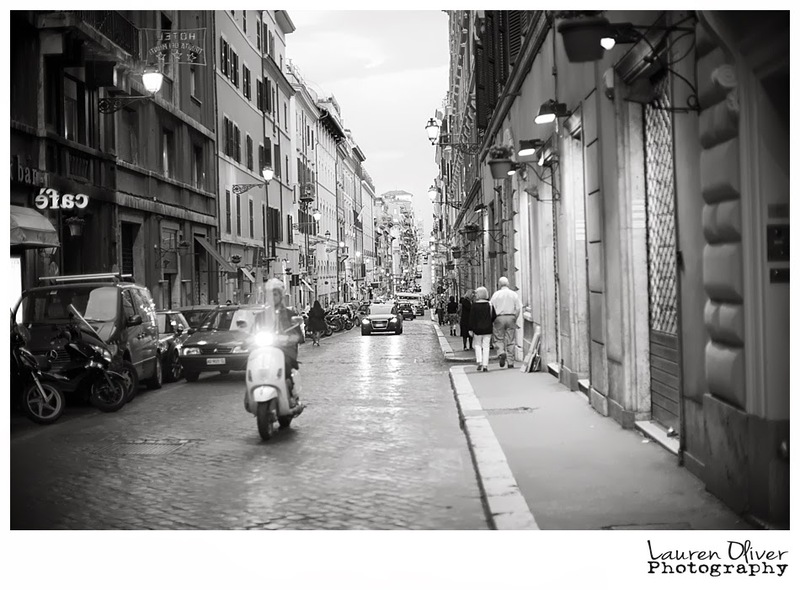 Lauren Oliver Photography - The Blog: Europe in B&W - A few of my favs! Tonight, I decided it was time for some B&W's. I thank heaven for this blog. It's like the best of all things - a chance to write, share my fav pics and forever document big deals for my family! 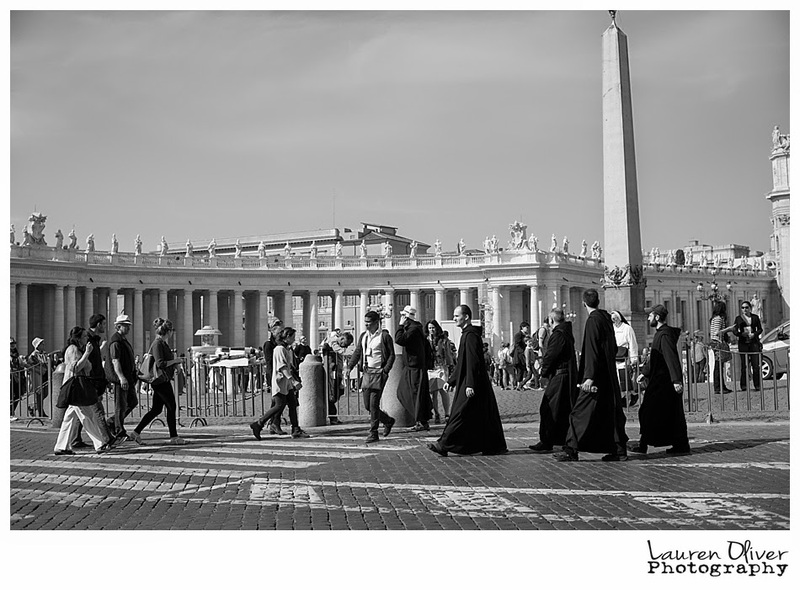 So, here are my fav B&W's from Europe. It's so crazy how some images just tell a whole other story in B&W. And to be perfectly honest - some pics that don't look so hot in color......convert them to B&W and you have a winner! This is the cathedral in Sevilla, Spain. I mean, seriously, it's so gorgeous. The lighting was ROUGH. But a quick color conversion and it becomes one of my favorite photos! And let me say, that shooting inside these types of totally amazing places can be challenging. Remember, I had only my 50mm. Trying to capture the mammothness (not sure its a word, but it works), of places like this is hard. But see those little people down below? Then look up. 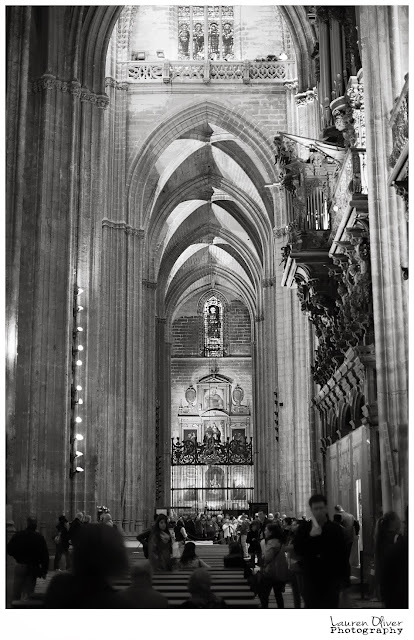 The ceilings were beyond huge! 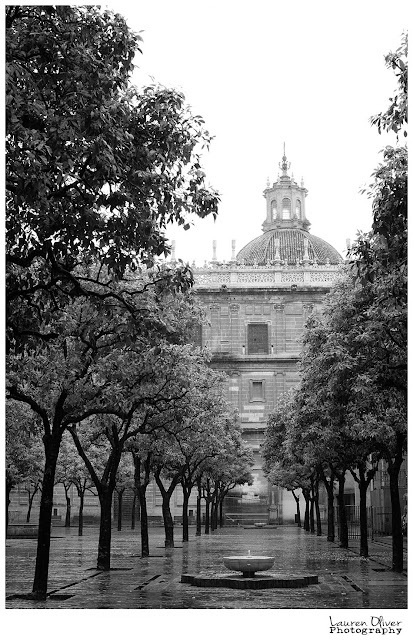 This is the Grove of Orange Trees at the Cathedral in Sevilla. 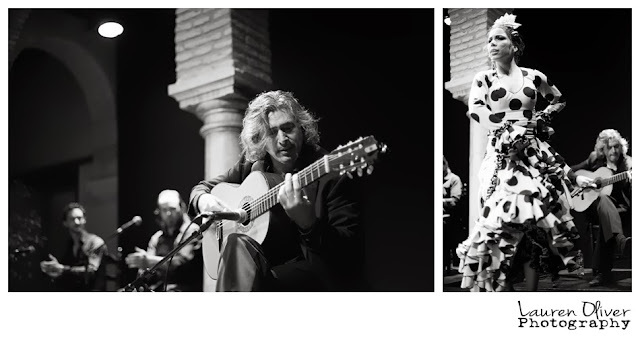 Be still my heart spanish guitar player. And she made me want to learn Flamenco. Ok, not really, but she did fling that dress around pretty well and we were sitting in the front row. Nate likes to tell the story of how he got hit in the face with a flamenco dress! 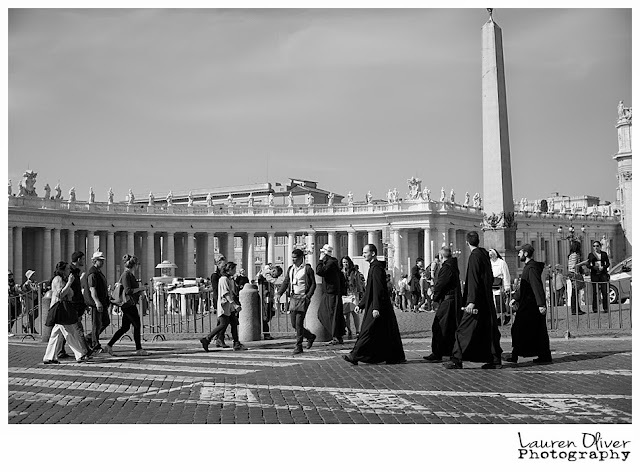 It's a diverse scene at the Vatican. Some seriously fantastic people watching. 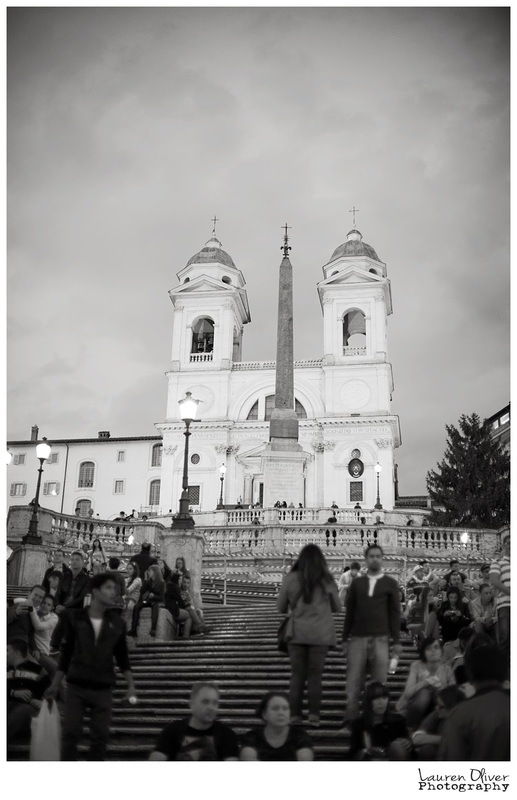 I have so many amazing street pictures in Rome. Seriously, this town was my fav for that! I think one will have to become a poster (please no eye rolling Todd). 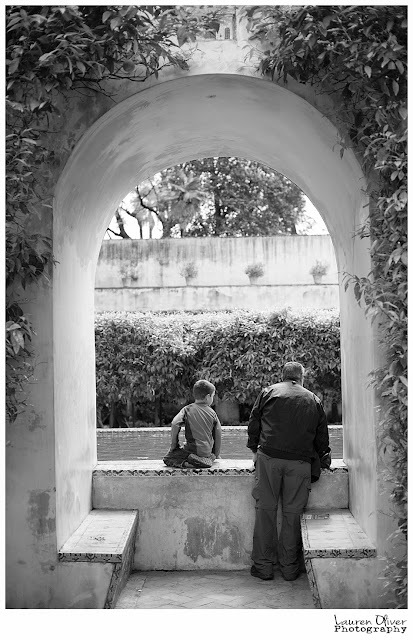 And we will end tonight with Grandpa and Nathan at the Alcazar in Sevilla. No words or commentary needed. Just love. And a pond with fish and frogs. Wishing you a week full of love, happy days and goodness!